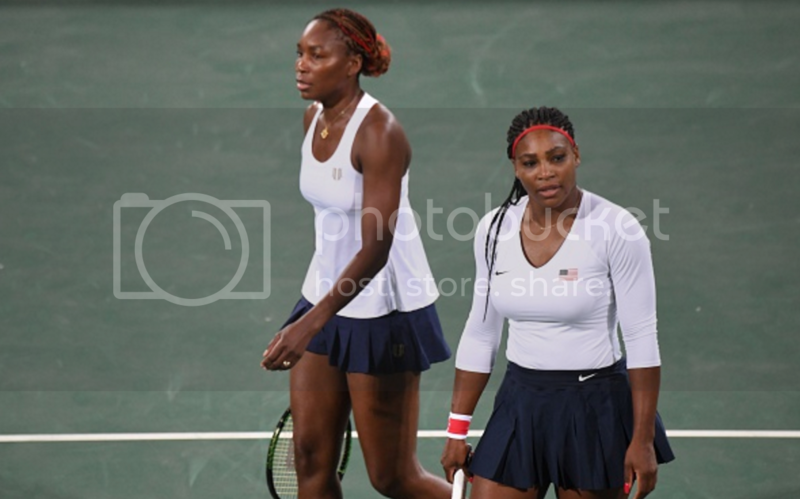 Fresh off a win at Wimbledon, the Williams sisters seemed poised to take home an Olympic gold for the fourth time. On Sunday, hopes for a four-peat were dashed when the sisters lost in the first round to Czech Republic’s Lucie Safarova and Barbora Strycova. This is the first time the dominant duo has ever lost a match at the Olympics. They won gold together at the in 2000, 2008, and 2012. And they've lost in the first round of a Grand Slam tournament only once in the past 16 years. Venus, 36, lost her first round match in the singles competition. At her fifth Olympics, she succumbed, 4-6, 6-3, 7-6 (5) in a three-hour match. Venus wasn't in top form. Coach Mary Joe Fernandez told press that she is suffering from a virus she contracted at a tournament last week and her appearance in the doubles match was uncertain hours before it was to begin. Serena, however, is still in the singles competition. The 22-time Grand Slam Champion defeated her first opponent, Australia’s Daria Gavrilova, and will play again on Monday.